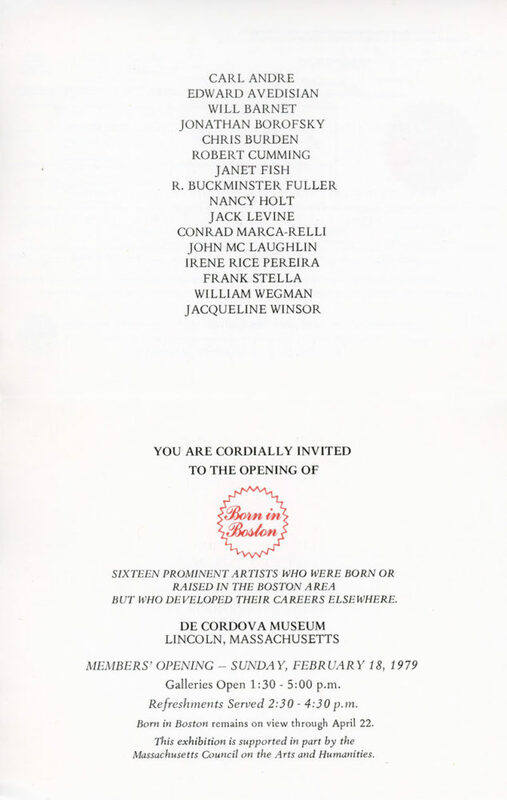 Folded card for Born in Boston, a group show featuring 16 artists born or raised in Boston, at the De Cordova Museum, 1979. Artists included Carl Andre, Jonathan Borofsky, Chris Burden, Jack Levine, Frank Stella, William Wegman and others. 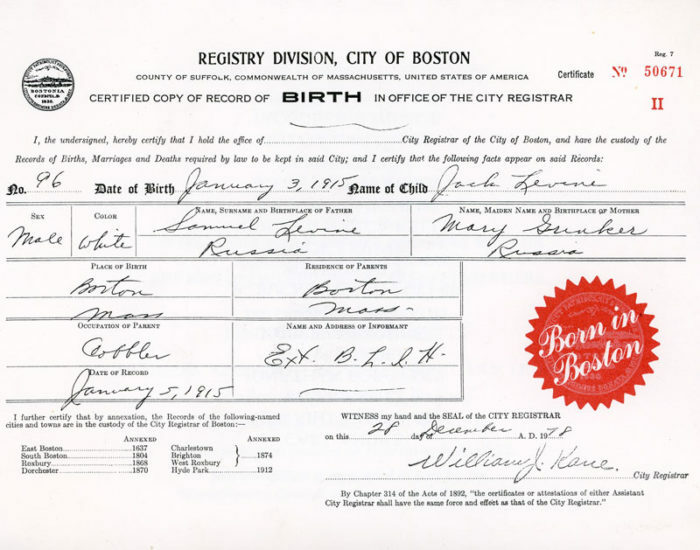 Front of card features Jack Levin’s birth certificate.